More specifically, the so-called Cadillac tax on expensive employer-provided health plans will slightly reduce the distortion in the tax code that encourages over-insurance and exacerbates the healthcare system’s pervasive third-party payer problem. Indeed, we’re seeing some signs of this already, even though the tax preference isn’t capped until 2018. Here are some excerpts from a story published by Fox News, starting with a description of the law. 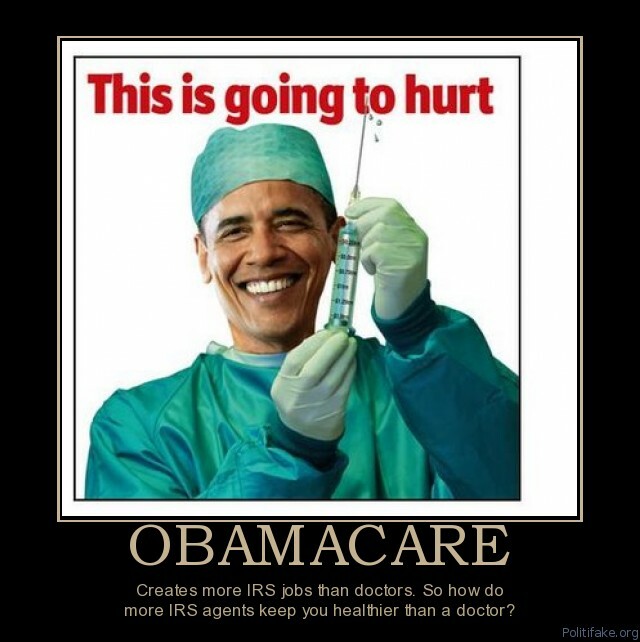 …companies desperate to avoid a 40 percent ObamaCare “Cadillac tax” are finding ways to shift the costs to workers. The so-called “Cadillac tax,” now four years away, will affect health plans that spend more than $10,200 per worker. “The excise tax, when it hits in 2018, will affect both employers and employees,”said Brian Marcotte, president of the National Business Group on Health. Allow me to make an important correction before sharing other parts of the story. Companies aren’t shifting costs to workers. The money currently spent on health insurance policies is part of total employee compensation. Think of it this way. If a company hires you for a salary of $50,000 and also includes a $10,000 health insurance policy, what’s your total compensation? If you give an answer other than $60,000, you’re either very bad at math or you have the logic skills of a politician. So the story should have stated that the Cadillac tax is merely making workers more aware of costs that already exist. Thanks for letting me vent. Now back to our main point, which is that the Cadillac tax discourages overinsurance, and this is already leading to some positive changes in the marketplace. Employees will get incentives to reduce costs through such arrangements as wellness programs, including losing weight or stopping smoking. Meanwhile, employers are shifting workers into plans with higher deductibles, just as ObamaCare does in the health care exchanges, and using health savings accounts to help defray the costs. I’m particularly happy that employers and employees are shifting to plans with higher deductibles. As I’ve explained before, health insurance should cover large, unanticipated costs, such as the onset of cancer or getting injured in a car wreck. But it shouldn’t cover annual checkups, elective surgery, and other routine and/or predictable expenses. And we have one other bit of good news. The tax isn’t going to raise nearly as much money as the politicians wanted! The “Cadillac tax” was originally intended to take effect sooner, but unions and other groups convinced officials to delay it until 2018, reducing the anticipated income from $137 billion to $80 billion over ten years. But many analysts predict it will be far less than that. Henry Aaron of the Brookings Institution said, “before then, it’s expected that most of the businesses that offer that form of insurance will back off and make the insurance less generous, so the tax won’t bite.” …if employers are able to avoid it and less than expected is collected, ObamaCare could fall tens of billions short in paying for itself as promised. I should hasten to add, by the way, that I’m glad that Obamacare isn’t paying for itself since that simply means lots of taxes to accompany all the additional spending. I’d be even happier, of course, if we could figure out how to get rid of all the spending as well. Just in case folks are thinking I’ve gone soft, let’s close today’s post with some humor directed at the rest of Obamacare. Since the IRS is a big part of Obamacare, here’s a particularly good bumper sticker that shares a line with the above poster. Here’s a poster mocking the delightful fiscal impact of the law. Though whoever put this together should have been careful of using The Joker. I like this next poster since it highlights how politicians have exempted themselves from the law. Last but not least, here’s Dr. Obama making a cameo appearance. Ah, the IRS shows up again. Do you sense a theme? And don’t forget the IRS bureaucrats want to be exempt from the law as well. P.S. If you’re a glass-one-tenth-full person, here’s some other good news about Obamacare. You idiots. Obamacare is just what you wnated. It is privatization!!!!!!!!!!!!!!!!!!!!!! He is dismantling medicaid and medicare adn forcing you to pay for private junk insurance, a teabaggers dream! Any way you look at it you lose. I’m surprised to hear Dan in favor of complicated tax structures of any form. This column therefore confused me about his libertarian creds. Then, he won me over again there at the end. I would say that the Democrats are extremely lucky that the rest of Obamacare- i.e. the employer mandate- does not kick in until after Jan 1. Otherwise, the bloodbath for the democratic party in November would be devastating, and the repubs would end up with a veto-proof Senate. As it stands, they will now have two years to muddle the issue before the next major election. Because my favorite bumper sticker is the one Dan did not include. It reads: Remember Democrats and ONLY Democrats gave you Obamacare. I’m not sure how to praise a distortion (a punitive excise tax) that partially neutralizes another distortion ( a tax exemption that applies ONLY if you buy insurance through your employer). The problem is that this feature like all others that were politically inconvenient will be abrogated extralegally by executive order. So the law as implemented will end up being 100% offensive and the rule of law 100% demeaned. I don’t like Obamacare, because it is a centrally planned mistaken answer to a problem that would have been easily fixed through the free market. Had government just used the resources currently available, including the value of the healthcare deduction; $3,000 could have been provided to every adult citizen. The poor could have purchased minimal health insurance and the non-poor would have had the equivalent of a $12,000 tax deduction [at a 25% flat tax rate]. Those currently on Medicaid and Medicare would have seen a $3,000 reduction, for no net change.